Catch a Crab Tour only including morning tea and all equipment for activities, no lunch included, a la carte available. 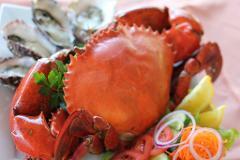 Catch a Crab Tour including premium platter lunch, morning tea and all equipment for activities. Catch a Crab Tour including lunch; whole mudcrab wok tossed in our signature chilli sauce. 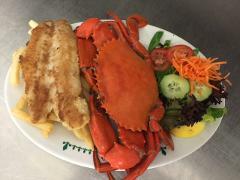 Catch a Crab Tour including lunch of fish and chips, morning tea and all equipment for activities.